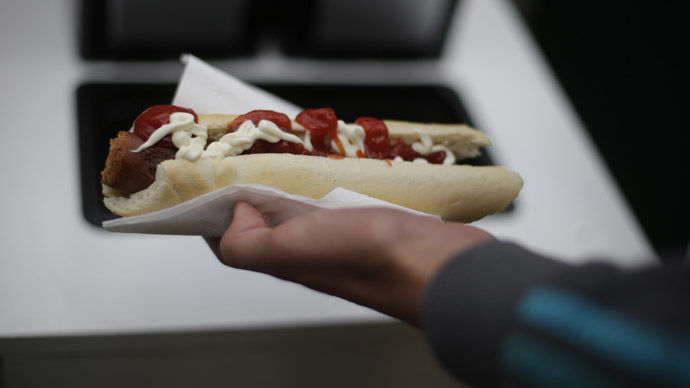 David Cameron has been ridiculed on social media for using a knife and fork to eat a hot dog at a barbecue in Dorset. The Eton and Oxford-educated prime minister, who is often accused of being out of touch because of his wealthy background, was subject to a number of scathing comments by the public after the pictures were published. It is not the first time Cameron has been left with egg on his face over food. Arguably his crumbiest claim came in 2012 after he publicly stated his love of Cornish pasties. The move backfired severely when it was revealed that the store in Leeds, Yorkshire, he originally claimed to have purchased the snack from had closed in 2007. Pastygate, as it was called at the time, was not the only time a senior politician fell afoul of his dinner. In May 2014, political aides had to intervene when Labour leader Ed Miliband was photographed inelegantly ingesting a bacon sandwich – a munching mishap which took a serious bite out of his Man of the People credentials. Former Tory leader and authentic Yorkshire manly-man William Hague was criticized heavily during his time as party boss for saying he had been able to neck 14 pints a day in his prime. In 2014, Labour accused Communities Secretary Eric Pickles of being a proper jammy dodger after his department was alleged to have run up huge bills for tea and biscuits at taxpayer expense. Food scandals are by no means limited to parliament’s elected chamber, the House of Commons. In December, members of the unelected House of Lords were left punch-drunk after the public discovered peers had resisted a change to catering arrangements out of fear the quality of the champagne would suffer.